I’m so happy to be the newbie here at GirlsHeartBooks. What am I going to be talking about on my monthly blogs? My favourite things…my favourite foods…my favourite books. My own books. Some tips for people who like writing. There’ll be a quiz or two. And I’ll probably witter on about my dog from time to time. Today I’m going to talking about TOP TIPS FOR SCHOOL. Lots of you will have been going back to school after the summer break. It’s a big deal, especially if you’re starting at a new school. Maybe because it’s such a big change, going back to school has featured in several of my books. 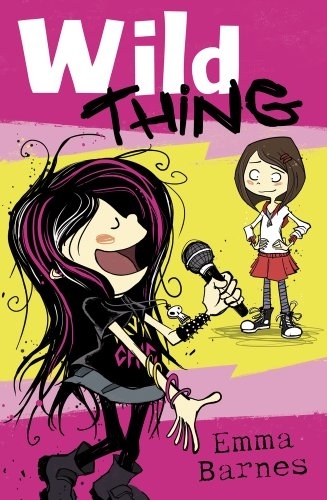 In Wild Thing, my heroine Kate is really worried about going back to school because this time her truly horrendous, disastrous, crazy little sister, Wild Thing, will be starting at school too. She has a feeling that’s going to be really difficult. And she’s right. If Kate had a TOP TIP for starting school, it would be – if you have a horrendous sibling, don’t let them start at your school. Easier said than done. 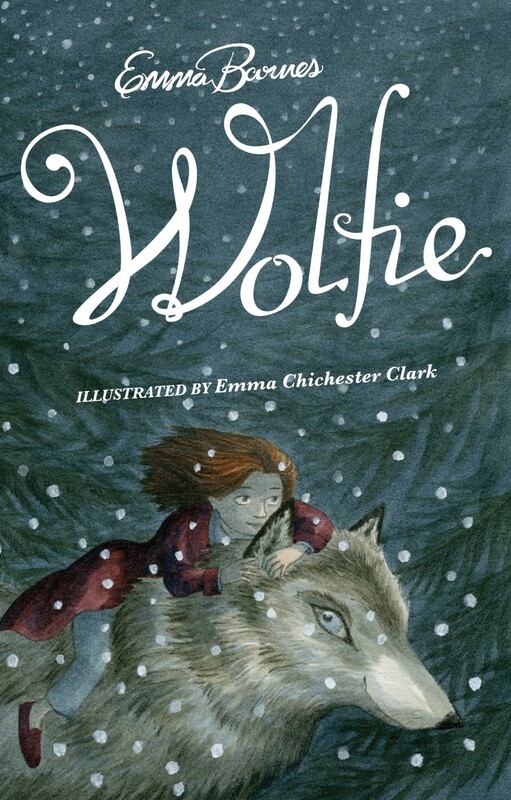 If Lucie had a TOP TIP it would be, if you’re starting back at school, have your magic wolf waiting for you at the gate. Still, even if you can’t ban your baby brother, or find yourself a magical animal, there are things you can do to feel a bit better about starting in a new class or a new school. Why not take something with you that makes you feel a little better – hide it in your pocket or tie it to your bag – a lucky mascot or a good luck charm? I find if I can’t take a real wolf with me when I’m feeling nervous, it helps to take this little one instead. That’s my TOP TIP. What’s yours? Tags: books, school, top tips. Bookmark the permalink. Hi Emma, welcome to Girls Heart Books! Welcome Emma! I usually carry a small pine cone or an acorn in my coat pocket . Thank you for your welcomes! I do like the idea of an acorn. In the autumn I often find myself with conkers in my pocket – very comforting. Nice to see you here, Emma! Here’s a top tip from my grown-up son Jamie, who’s just starting language school in Indonesia – take Emma Barnes’ Wild Thing books translated into Indonesian with you, for something to read at break time! I like all these tips. Joan, I do hope he enjoys the books. Faolan – you are so right. Sometimes it seems easier to try and fit in – but much better that people like you for who you are.